The opening of Pandora – The World of Avatar at Disney’s Animal Kingdom saw the launch of a new mobile ordering system for Walt Disney World restaurants. 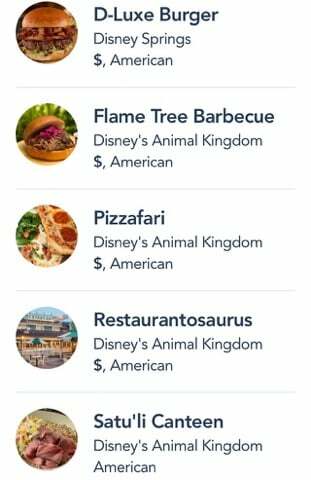 Satu’li Canteen was the first restaurant to implement the new system which allows guests to place their food order from an app on their phone. The system has since spread to other locations at Animal Kingdom, including the popular Flame Tree Barbecue. Today though, the new system escaped the park and made its way over to Disney Springs at D-Luxe Burger, another restaurant now offering the new mobile ordering system. The popular, quick-service burger joint just got even quicker. Guests at Disney World’s shopping and dining district can now get their burger fix without ever having to wait in line. 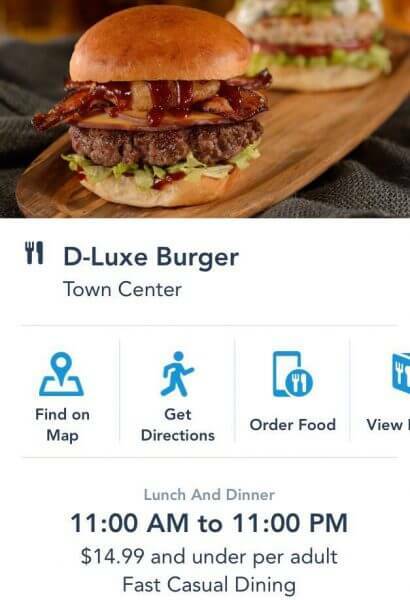 They can now simply go to the Disney World app, find D-Luxe Burger, place their order and pick it up when its ready. It doesn’t get any easier than that.